Google has a new, experimental web app for you to try: Squoosh. It uses the latest in image compression technology to cram your pictures into smaller file sizes with a minimal loss of quality, but what really impresses about the app – coded in the WebAssembly programming language – is its speed, even under a relatively heavy load. 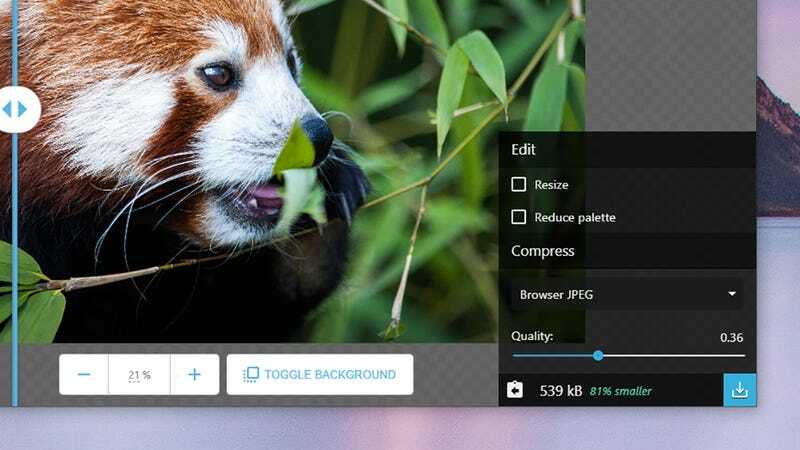 “This powerful image compression tool launches almost instantly, and then manages a smooth UI even when it’s doing heavy work, including using WebAssembly to do more with codecs the browser doesn’t have baked in,” the team from Google Chrome Labs. The Squoosh app itself is incredibly simple to use. 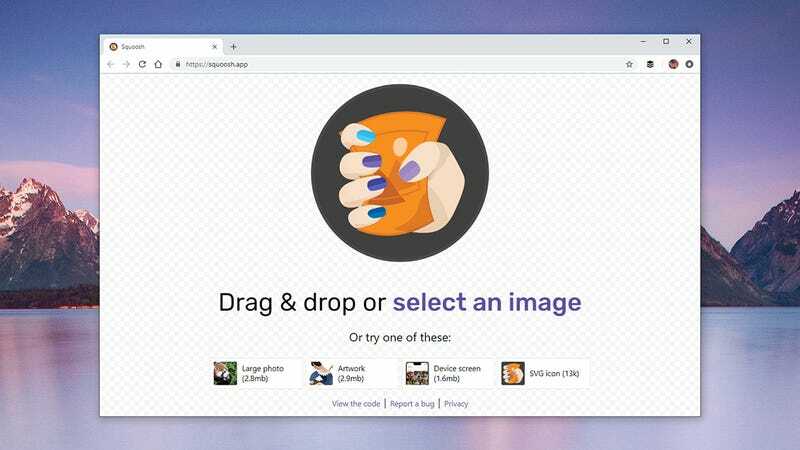 Load it up in your browser, then drag and drop an image into the browser tab or click Select an image to upload one from your computer (there’s no Google Photos integration here yet). If you don’t have a picture to hand, use one of the sample ones along the bottom. In the lower left, you can simply convert the image into another format using the default settings – WebP, PNG, JPEG, whatever you like. You’ll be told how much smaller the resulting file will be, and you can save it to disk. On the right you get more control over the compression: Pick your compression standard from the drop-down menu (MozJPEG, OptiPNG, WebP, and so on), then use the slider to change the strength of the compression. More compression means smaller file sizes and lower image quality. Changes are applied in real time as you make them – use the slider on the picture preview to see how your selected compression options are affecting the quality of the image (the zoom controls can help here to make the individual pixels and artifacts visible). 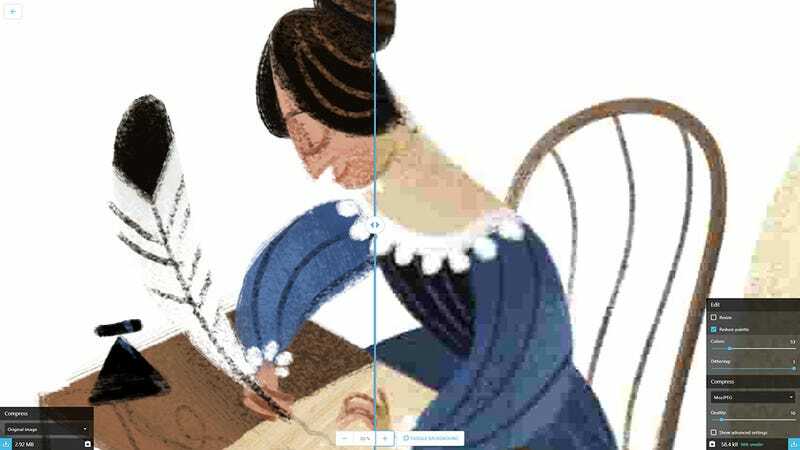 To squash your image down further, you can resize it or reduce the number of colours using the options on the right-hand panel. Click Show advanced settings for even more control, though these settings (including smoothing and noise shaping) are unlikely to be of much use or interest unless you’re a developer. After that just click the download button (bottom right) and you’re done. We came away very impressed with the file size reductions Squoosh could achieve, without losing too much in the way of image quality, though that’s largely down to the power of the compression algorithms behind the app, rather than the app itself. There’s no option for batch processing images yet, unfortunately, which rather limits its appeal – if you’re used to selecting compression options in the image editor of your choice, then Squoosh doesn’t really offer anything you make you rush into switching. Beyond image compression though, Google’s real aim here is to show how complex apps, doing some fairly demanding work, can load up quickly in the browser – which means better web apps across the board. 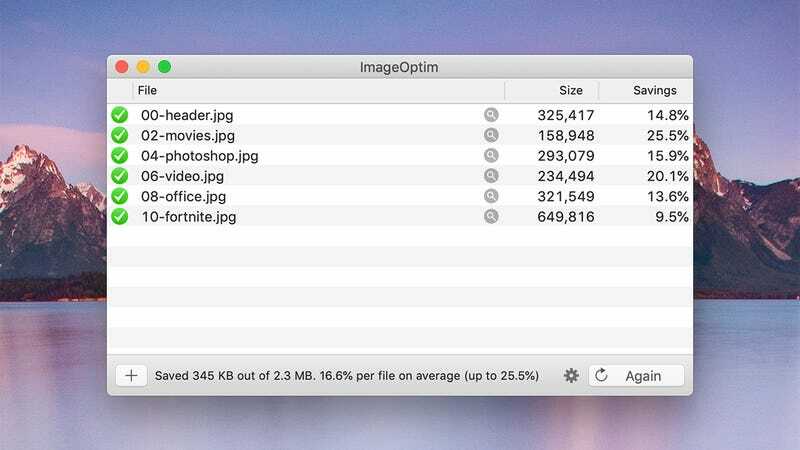 While it’s fair to say you might not open up your browser to use Squoosh instead of simply using something like Photoshop to compress your images, it’s also true that it’s hard to beat as far as web-based image compression apps go – at least for single images. TinyPNG, for instance, works with JPEG and PNG files can handle up to 20 at once, and preserves transparency – but it doesn’t give you as many options or a built-in preview. Similarly, ImageResize.org will compress up to 20 of your JPEG and PNG images at once, but it doesn’t offer anything in the way of previews or compression options. The compression is a little rougher here too, which helps with file sizes but not image quality. The same site will resize your images as well as compress them if needed, though not at the same time. Compressor.io is the closest web app to Squoosh that we could find. 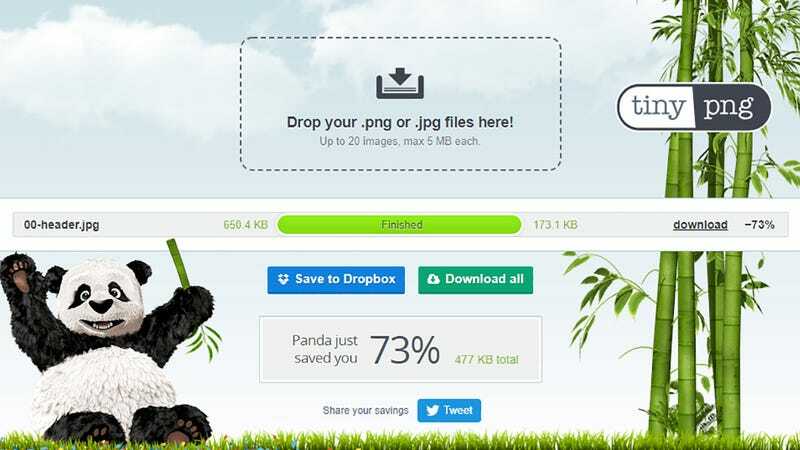 It lets you choose between two levels of compression, and it actually gives you a preview too, as well as supporting four file types: JPEG, PNG, GIF, and SVG. You can only process one file at a time though, and there is an image size limit of 10MB. If you need to quickly compress a whole bunch of pictures at once, give ILoveIMG a try: It lets you upload dozens of pictures at once (15 as a guest, 30 as a registered free user), but won’t let you choose the compression level (that’s selected automatically for you to maximize image quality). You’ve got plenty more options too, but none that really give you the granular control that Squoosh does. It’s the same on the desktop: Programs like OptiPNG and PNGGauntlet for Windows and ImageOptim and Squash for Mac are a breeze for chewing through dozens of pictures at once but don’t give you a lot of customization options as far as the compression levels go. The recently updated RIOT (Radical Image Optimization Tool) for Windows does give you the before and after comparison that Squoosh does. It also lets you choose the compression level manually, and can even handle batches of images at once – if you need to resize a lot of images on Windows, it’s one of the best choices. 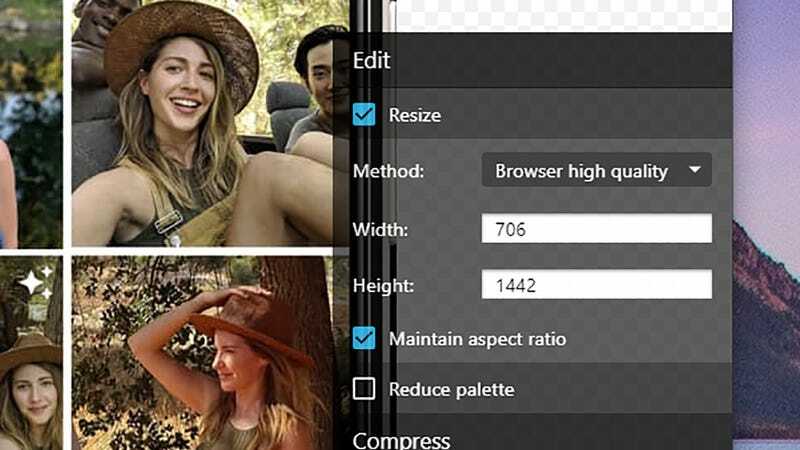 For most users though, image compression is something they don’t have to think about: Squoosh and every app like it is really aimed at web developers and people who spend time publishing content to the web. Those users typically need to work with a lot of images at once, which means Squoosh – as detailed and fast as it is – is of limited value, especially with so many alternatives around. Still, if you have a handful of pictures to need to reformat or compress – or you just want to check in on the state of web apps today – Squoosh is definitely worth a look. It’s still early days for the app, and if it can add batch processing further down the line, it’ll quickly become one of the most appealing options out there.